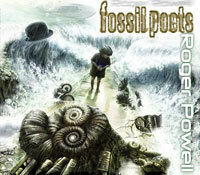 In addition to being a long-standing member of Todd Rundgren's progressive/new wave outfit Utopia, keyboardist/synthesizer player Roger Powell has issued several solo albums on his own, and lent his talents to some of the biggest names of '70s rock. 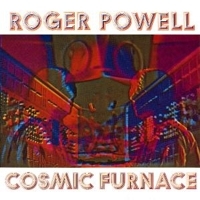 Powell debuted in 1973 with an overlooked solo release, Cosmic Furnace, and soon after, was invited by Rundgren to join up with the recently formed Utopia. 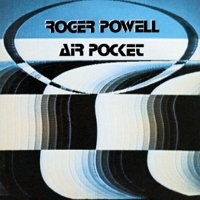 Powell's debut with Utopia was on their second release, 1975's Another Live, which led to further work on Rundgren solo albums (1975's Initiation, 1976's Faithful, and 1978's in-concert Back to the Bars), as well as another prog rock-based Utopia release, 1977's RA. But with the musical tide shifting dramatically by the late '70s, Utopia decided to change their direction from bombastic, self-indulgent prog to streamlined, new wave pop - an approach debuted on their second release of 1977, Oops! Wrong Planet (an album which featured one of Powell's best vocals while with Utopia, the tranquil "Windows"). 1978 saw Powell play on one of rock's all-time best-selling albums, Meat Loaf's Bat Out of Hell (with Rundgren producing, Utopia served as Meat Loaf's backing band), and toured as part of David Bowie's band - appearing on the Thin White Duke's live album, Stage, the same year, and the 1979 solo album, Lodger. It was also around this time that Powell created and played his own synthesizer, called the Powell Probe. 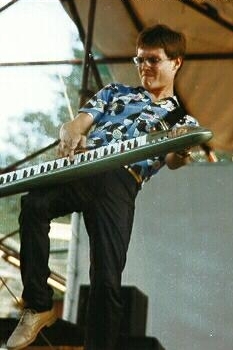 The early '80s were a busy time for both Powell and Utopia, as Utopia enjoyed their biggest chart success (1980's superb Adventures in Utopia), while Powell issued a second solo album, Air Pocket (the latter of which contained a track that would soon find its way into Utopia's live set, the hyperactive rocker "Emergency Splashdown"). But Utopia's chart success proved to be short-lived, despite a string of excellent albums (1980's Beatles parody Deface the Music, and such new wave/power pop works as 1982's Swing to the Right and Utopia, etc.) and maintaining a solid fan base. Sadly, Utopia decided to call it a day in the late '80s, due to record company turmoil and dwindling record sales. Powell completed a third solo album around this time, but it was ultimately shelved, as he and Utopia reunited briefly for a Japanese tour and subsequent album/video (Redux 92: Live in Japan) in 1992, before splitting up for good. Powell works as an audio programmer for the Silicon Graphics company in San Francisco, and plays guitar sporadically with local bands. Gunmen," and the robotic "Fallout Shelter." Elsewhere, Koch provides some tasty Jeff Beck-esque guitar work (circa Beck's classic Blow by Blow/Wired period) on "Test Drive" and "Osmosis." Although Fossil Poets won't be challenging the Dixie Chicks for the top of the album charts anytime soon, longtime Utopia fans will surely be pleased with the album that signals Powell's return from the "missing person's list." Notes: Todd Rundgren plays e-bow guitar on this album. This CD has been officially re-released!